Tony Hague, Managing Director of PP Control & Automation, has seen his firm secure a number of contracts from OEMs looking to boost their capacity through strategic outsourcing and feels this is an approach more of industry needs to adopt. He points to the overwhelming benefits of being able to offer immediate solutions to capacity issues, reductions in production lead times and achieving greater flexibility in managing costs during periods of fluctuating volumes. “We are up about 20% over the course of the last twelve months and the majority of that work has been from customers looking to outsource more of their non-core manufacturing activities,” explained Tony Hague. He continued: “The alternative is to grow market share and, more times than not, this will deliver you the best outcome. For example, imagine a machine builder that produces 10 machines a month, each machine sells for £200,000 with an average profit of 10%. PP Control & Automation, which employ over 200 people, has become one of the world’s largest and most respected suppliers of electrical control systems, cable harnesses and sub-contract manufacturing solutions. It has recently completed a £1m extension at its Cheslyn Hay facility giving it a further 1000 sq metres of production space and a new dedicated logistics and material department, complete with state-of the-art conveyor systems and barcode scanning. This additional capacity gives the company a perfect platform to take on more ‘outsourcing’ work for clients supplying into the machine tool, printing, packaging, food processing, scientific, semiconductor and medical equipment markets. 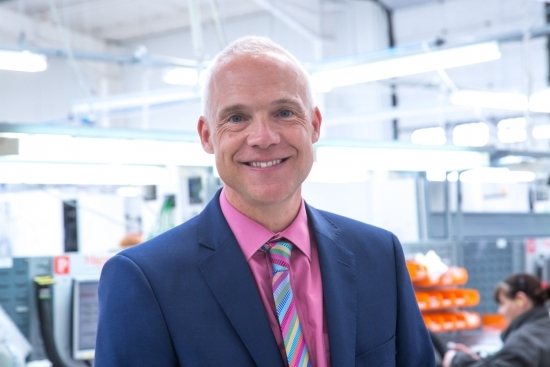 “It’s all about strategic partnerships and firms realising the huge benefits of being able to let someone else take control of non-core manufacturing, leaving them free to concentrate on what they do best,” added Tony.